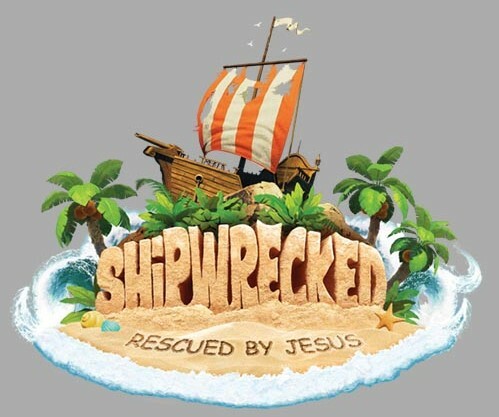 At Shipwrecked VBS, kids discover how Jesus rescues us through life's storms. Shipwrecked is filled with incredible Bible-learning experiences kids see, hear, touch, and even taste. Sciency-Fun Gizmos, team-building games, cool Bible songs, and tasty treats are just a few of the standout activities that help faith flow into real life (Since everything is hands-on, kids might get a little messy. Be sure to send them in play clothes and safe shoes). Plus we'll help kids discover how to see evidence of God in everyday life - something we call God sightings. Get ready to hear that phrase a lot! VBS is open to children in K-6th grade. Junior and senior high students are invited to join Teens For Christ each night around games, scripture memorization, and a message each night.